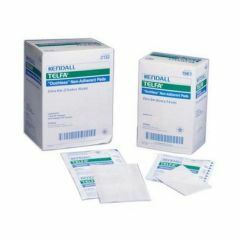 Vaseline Petrolatum Gauze - 6 x 36"
Vaseline Petrolatum Gauze - 3 x 36"
Vaseline Petrolatum Gauze - 3" x 18"
Q-TIPS Cotton-Tipped Applicators - 6"
I had a mastectomy with reconstruction (tram flap) last year. I also had a few lymph nodes removed from underneath my arm which came back negative. When I had to go through physical therapy for my arm (I developed lymphedema) and stomach, the therapist used the kinesio tape and it worked wonders for my stomach and abdomen (right over the incision). I had asked her where I could purchase this tape for my use after my therapy was over and she wasnt sure where. So, I checked the Internet and found your company. I thank God for small favors because it really makes a big difference in helping to move the fluid out. I look forward to doing business with you from now on. Do you also sell bandage supplies because I have to wrap my arm when I do my exercises. It is similar to an ace bandage.